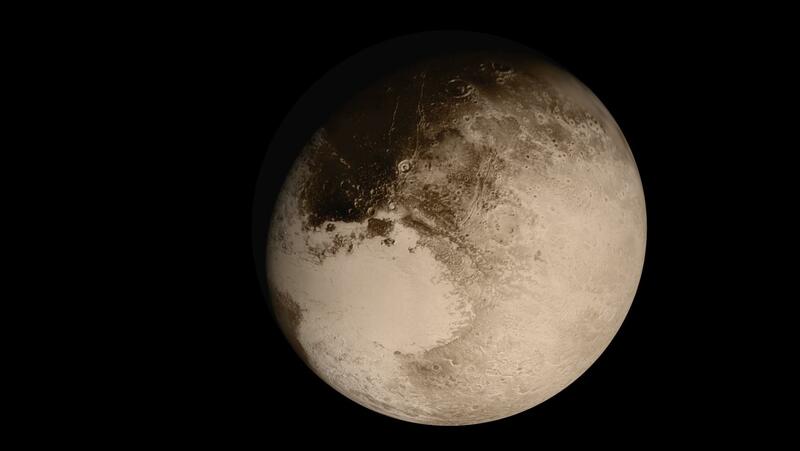 Observing Pluto – What Does it Take? With New Horizons‘ flyby of Pluto and all the great images the spacecraft has been returning I’ve wondered: Is it possible to observe Pluto from one’s backyard? Personally I’ve never bothered trying for Neptune and beyond as I knew my small 80mm aperture telescope would not be up to the task. Nevertheless I looked up Pluto’s apparent magnitude and found that it varies between 13.6 and 16.3 due to its elliptic orbit around the Sun. It’s last closest approach (perihelion) was September 1989, and unfortunately Pluto is currently distancing itself for its 248 year journey around the Sun therefore slowly dimming, sitting right now at apparent magnitude 14. What size of telescope does it take to observe an apparent magnitude 14 object? Based on the theoretical limits it should be possible to make visual observation with a 10in aperture telescope, but most would say you need a 12in if you plan to observe with an ocular. Of course, equipped long exposure cameras you can have a smaller telescope, but a high focal length would be preferred to reduce to better pick it out from the background of stars. And I’ve managed to pick up mag 14 stars in my photos with the Skywatcher 80ED with 60sec exposures. Therefore Pluto should be accessible to backyard astronomy. Note that at Pluto’s size and distance it shows up as a light point and not a sphere like the other planets. Up to the challenge? Middle of November will be a great opportunity to locate Pluto as it will swing within 1deg of Ksi 2 Sagittarius, a magnitude 3.5 star. In the June edition, Sky & Telescope created a great star-chart to locate Pluto until December 2015. Good Luck! This entry was posted in Chart, Equipment, Events, News and tagged Astronomy, Pluto, Telescope by Benoit Guertin. Bookmark the permalink.